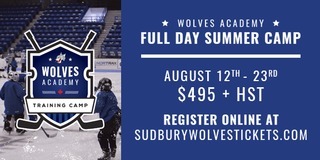 (Greater Sudbury, ON) The Sudbury Wolves took a commanding 3-0 series lead over the Mississauga Steelheads this past weekend in the Eastern Conference Quarterfinals. 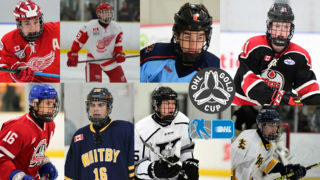 Playoff action continues in Mississauga on Wednesday at the Paramount Fine Food Centre as the Wolves look to continue their hunt through the 2019 OHL Playoffs. 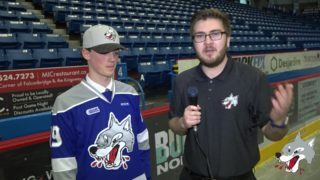 The Wolves started off the series with a 5-2 win on Friday where Nolan Hutcheson scored his first career OHL hat trick. 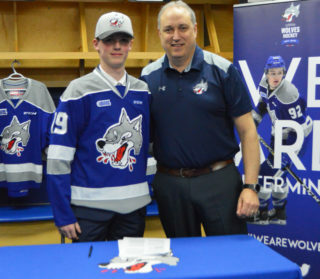 Saturday in Sudbury, David Levin was the overtime hero as the Wolves defeated the Steelheads 3-2 in overtime. 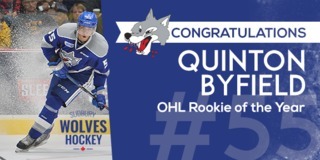 The two squads then returned to Mississauga Sunday for game three where Quinton Byfield scored two to help the wolfpack take a 5-3 win and a 3-0 series lead. The Wolves are currently one win away from advancing to the second round of playoffs. 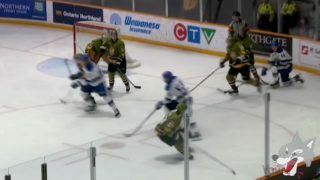 To catch Wednesday’s game at 7:00pm, fans can tune into the live play-by-play on CKLU 96.7 or stream it live on mixlr.com/sudburywolves. If required, game #5 will take place back at the Sudbury Arena on Thursday March 28th at 7:00pm. 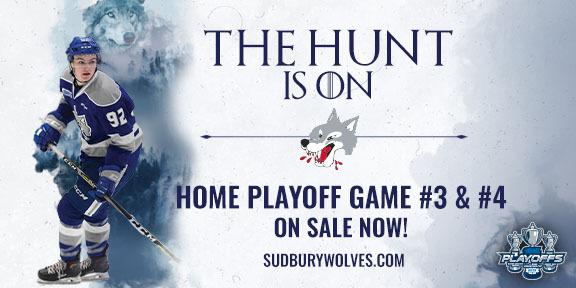 Tickets for Home Playoff Game #3 and #4 are now on-sale at the Sudbury Arena Box Office and online at greatersudbury.ca/tickets. Dates, times and opponents are still to be determined.